Unlike many other genres of film, horror movie soundtracks play as important a role to the storytelling as the dialogue. The music tells you when to watch out for the killer, or when some is RIGHT BEHIND YOU! Many composers have made many different horror scores, but synthesizer music has helped change and shape the genre. The best horror synth scores either create something completely new, or they turn the conventions of film music on its head. Obviously, John Carpenter’s influence weighs heavy in the world of synthesizer-based horror music, but he doesn't stand alone.Many composers have spent years honing their craft to perfect creepy moments in film. Film scores like those of Halloween, and Suspiria have gone on to have a life outside of the films that gave them birth, but they’re never better than when you’re hearing them pumped through the speakers of your local theater as a waft of fake fog blows across the screen and a terrified young woman brandishes a machete in the middle of an empty street. The scores listed here aren't just “the best.” They’ve managed to transcend the realm of non-diagetic music and effect the culture in terrifying ways. What are some of your favorite synth based horror film scores? Did we miss out on something that you believe truly defines the genre? If so, tell us about it in the comments. Oh, hi John Carpenter, how you doin'? Did you think you were going to read about horror film scores and not see something about Halloween? You can hear the inspiration from this seminal film score in everything from It Follows' pounding synth to Chopping Malls' swirling arpeggiated melodies. If there's a horror movie with a synthesizer in it, the composer has probably prayed to the patron saint of John Carpenter - who directed and scored Halloween - at least once or twice. 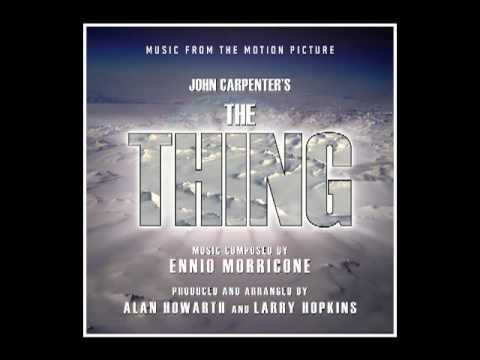 To synth and film score fans everywhere, the score to John Carpenter's The Thing is basically the A-Team of non-diagetic sound. Morricone is one of the most prolific and well renowned composers of the 20th century, and Howarth became one of the most low key influential electronic composers while essentially creating Dolby Atmos and DTS sound immersion. Put those two together with John Carpenter and you've got a real "chocolate in your peanut butter" situation. Suspiria includes a score that demands its listener sit up and take notice. Equally beautiful, playful, chaotic, and horrifying, the music for this Italian masterpiece is so deeply entrenched into the psyche of horror fans that it's impossible to think of the film and its music as separate entities. 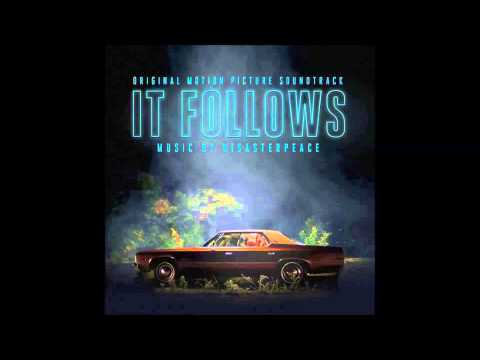 No matter what you think about It Follows, the breakout indie horror hit of 2014, the immersive and genuinely frightening score by Disasterpiece is one of the coolest pieces of music set to film in a decade. It's one of the rare scores that works just as well in the theater as it does on a long overnight drive.